This aftershave soothes the irritation caused by shaving, giving an instant sensation of softness and toning wellbeing. 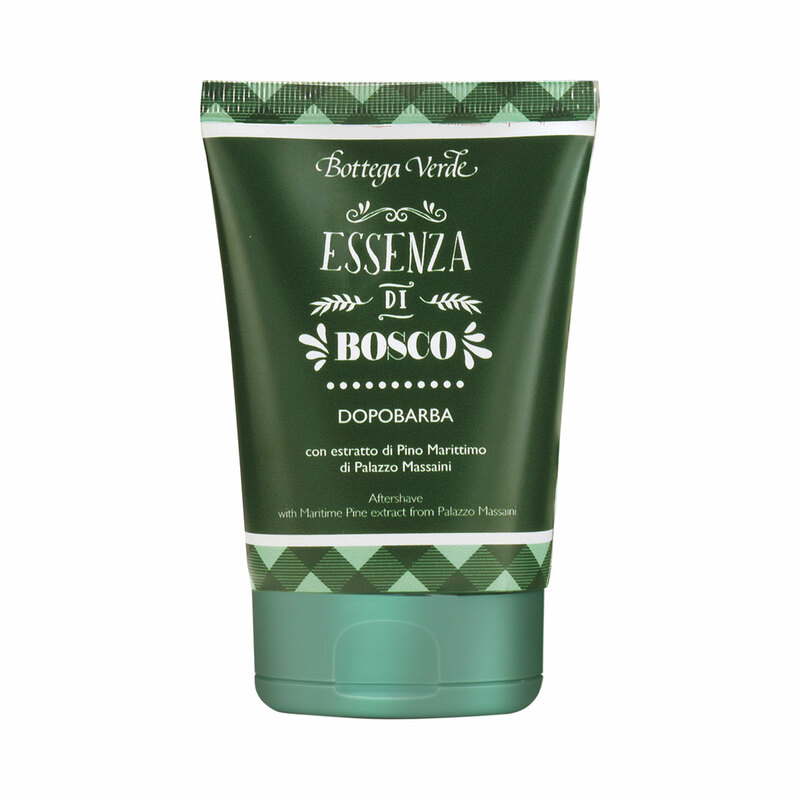 Its delicate, easily absorbed balm formula contains Maritime pine extract from Palazzo Massaini. The fragrance of winter aromas and green woodland scents fills it with a joyful feeling of wellbeing for the senses! A delicate, easily absorbed balm. It soothes the irritation caused by shaving, giving an instant sensation of softness and toning wellbeing. Direction for use:After shaving, rub the product into your face until it is completely absorbed. Scent:Top Notes: Pine Needles, Holly Leaves and Berries, Eucalyptus, Raspberries and Candied Fruit. Middle Notes: Cinnamon Leaves, Cardamom, Thyme, Bay Leaves and Cloves. Base notes: Vanilla, Cedar Wood, Guaiac Wood, Sandalwood and Amber Notes. Suggestions:Everyone who wants aftershave that nourishes, calms and protects the skin as well as giving it an attractive scent. Characteristic:A delicate, easily absorbed balm. Choose it if you want a product that contains no parabens, formaldehyde releasers, mineral oils or alcohol.